Whether it's dim sum or Disneyland, Hong Kong's the place to be. Compare flights from hundreds of airlines from Singapore to Hong Kong only on CheapTickets.sg! 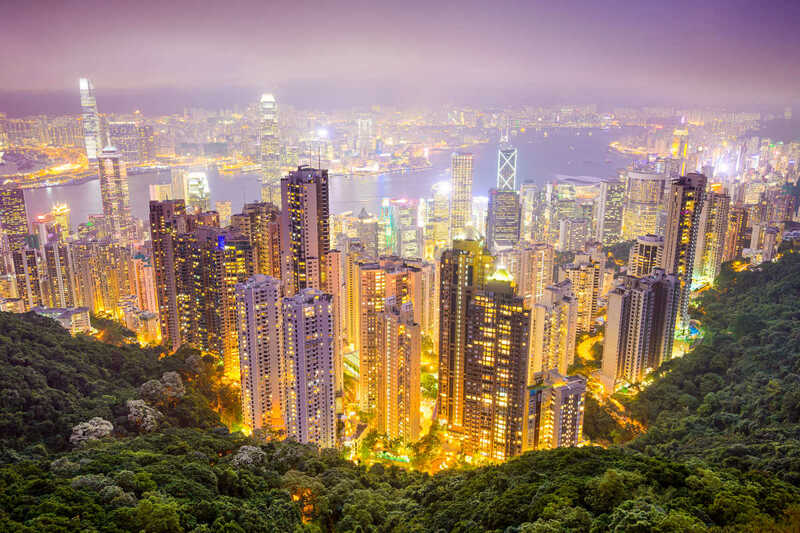 Hong Kong is a bustling, densely-populated modern metropolis with an incredible skyline dotted with tall skyscrapers. The city is full of seemingly contradictory sights, with Taoist temples stood alongside skyscrapers. Chinese heritage fuses with European colonial history to create cityscapes that physically embody the city's rich and diverse heritage. With soaring skyscrapers and marvels of modern engineering, Hong Kong looks like a portfolio of modern architectural success. The city is a living testament to the achievements of the Asian community to address the lack of available land, by looking to the sky for inspiration. The city has more than 7,600 skyscrapers, high-rise buildings and other notable buildings, such as the Central Plaza building (299m) and the International Commerce Centre Building (468m), making it a popular tourist destination as well as a commerce hub.Some iconic architectural sights you can look forward to seeing include the Bank of China building, designed by the acclaimed architect I.M. Pei, The Center, an entirely-steel structure with a nightly neon light display and Central Plaza, the city's largest timepiece. Hong Kong is a tourist magnet, pulling in the crowds with activities that suit every traveller. It can be a daunting prospect knowing where to go, so we've drawn up a selection of our top picks. Whether you arrive in the heat of summer, or the rather blustery typhoon season, Hong Kong promises to keep you entertained. Make sure you look at the seasonal programme in advance to avoid missing out. Temperature: The average temperature in Hong Kong is 26˚C all year around. The coldest month is January with a temperature of 14˚C. July is the hottest month with a temperature of 31˚C. Currency: The Hong Kong Dollar (HKD). Major Airlines: Cathay Pacific Airways (CX), United Airlines, US Airways, Air India Limited, China Airlines, Singapore Airlines (SQ), Tigerair, Jetstar, Scoot, etc. Singapore Airlines (SQ) operates direct flights from Singapore to Hong Kong. Major Airports: Departure from Changi International Airport (SIN) / Arrival at Hong Kong International Airport (HKG). Major Tourism Spots: Sim Sha Tsui Promenade, Clock Tower, Hong Kong Disneyland, Avenue of Stars, the Peak and many others. Looking for great deals for flights to Hong Kong? CheapTickets.sg offers you great fares and an unparalleled booking experience. Book from your laptop, tablet or smartphone and be assured of soem great deals and a easy booking process. Did you know you can save some money by traveling on different days or fly from other airports? Use the filters on the search result page to find great deals. Booking your cheap flights to Hong Kong in Asia with CheapTickets.sg ensures a safe, reliable and easy way to plan your trip. With our easy to use website, safe booking system and a large selection of hotels to choose from, you won't have to worry about a thing when you choose to book your holiday with CheapTickets.sg.